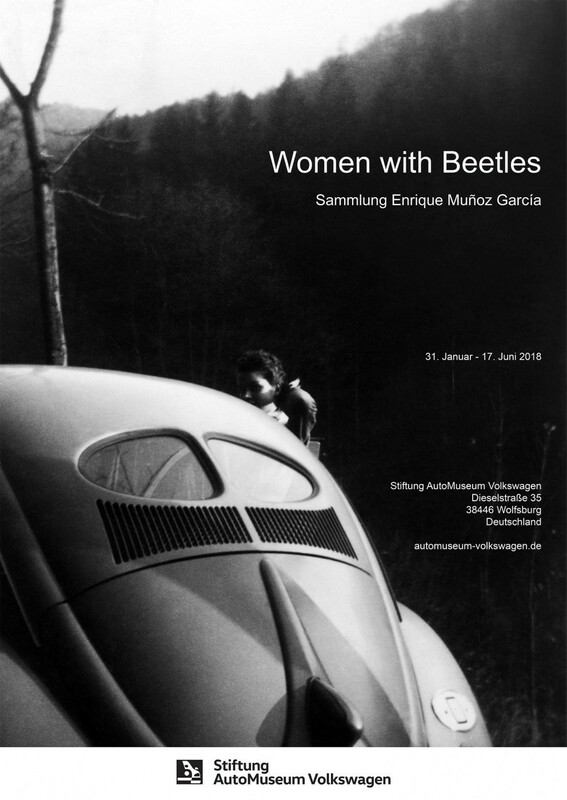 Swiss-based Chilean artist Enrique Muñoz García presents "Women with Beetles" - An exhibition featuring nearly 100 original photos from his extensive collection (totalling over 700 photos) of women with VW beetles. The photographs are black and white amateur photos that the artist has collected over the past 10 years. Enrique Muñoz García has been focused on assembling several collections, over the course of several years, which allow the observer to view history from a different poThe exhibition "Women with Beetles" presents a series of 100 images from the artist‘s private collection. In his work, Chilean artist Enrique Muñoz García addresses the history of the beetle while simultaneously raising the question of the identifiability of authorship. What defines the art of photography: The mere selection of images? 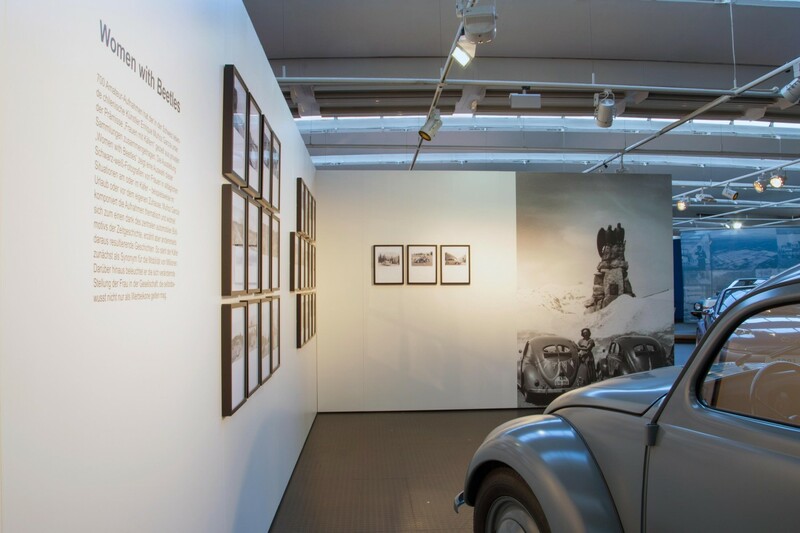 Enrique Muñoz García presents a selection from his collection of more than 700 photographs in "Women with Beetles" at the Auto Museum Volkswagen Foundation in Wolfsburg. 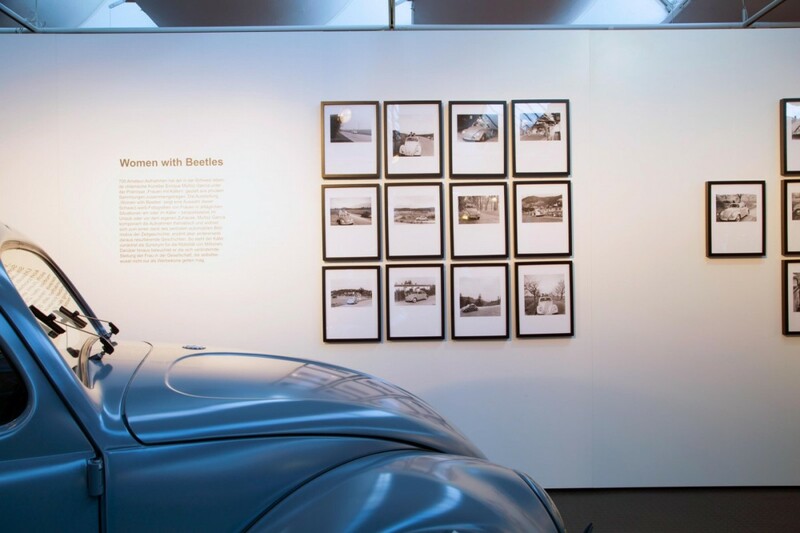 In the black-and-white shots, which are private amateur photographs from private albums, women can be seen in or next to a Volkswagen beetle. These nostalgic memory bearers have a cultural-historical significance in their current composition in the context of the exhibition. Characteristic of the work of the Chilean photographer is not only the serial, but also the processual. His works always consists of various parts, with individual elements collected over a span of several years. The unfolding of a very personal narrative takes place through a meticulous composition in thematic-spatial units to form a series. Formally, Muñoz García‘s work evades a clear genre assignment. Certainly he pursues a documentary approach, without, however, leaving space for fictionality. With the series „Women with Beetles“, Muñoz García takes this process a step further by completely abandoning the camera. The photographer takes on the role as a collector of those pictures, which reveal a story of travel and adventure with a beetle. Collecting and photography are expressed here as two similar processes in that both activities are characterized by searching. For Muñoz García, this search is about the discovery of clippings and images that allow for a new perspective of the story or stories. Firstly, there is the success story of the beetle, a car that was originally conceived as the literal Volkswagen in the late 1930s - for two adults and three children - not too fast and, above all, not too expensive, stood for the economic boom in the post-war period and became a major export hit. On the other hand there is the history of the concept of mobility, which for many years was impossible to imagine without the car. For a long time the car was the epitome of mobility par excellence. It stood for wanderlust, adventure and trips of discovery, representing the concept of freedom. Often it was associated with wild masculinity and daring femininity („We Mobilists“, Gerhard Hofweber in Augsburger Allgemeine). The changeability of this term was curiously observed by advertising and art and also recorded cinematically, literarily and pictorially. At the beginning of the twentieth century, photographers captured the enthusiasm for technical progress and speed, while post-war artists approached the mass production of the car in terms of form and content, and considered it an icon for the advertising industry. Consider Andy Warhol‘s Mercedes models, which were commissioned by Daimler-Benz in 1968. Pollution, speed, and accidents are just a few of the topics that were subsequently examined more closely. 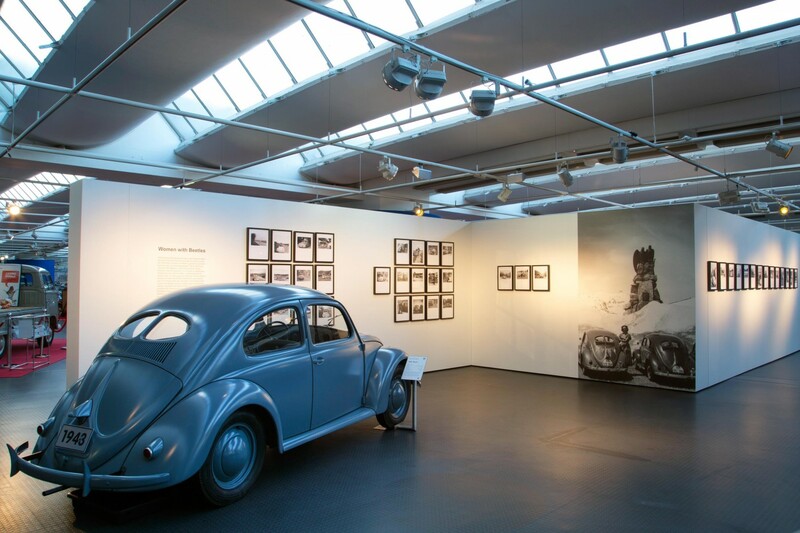 "Mit der Vernissage zu „Women with Beetles“ hat das AutoMuseum Volkswagen seine erste neue Ausstellung in diesem Jahr eröffnet. Die nunmehr achte Schau im Rahmen von „MobilArt - Kunst im AutoMuseum Volkswagen“ präsentiert das immer gleiche Bildmotiv von Frauen mit Käfern in verschiedensten Situationen und stets neuen Konstellationen. Die Sammlung aus 700 Amateuraufnahmen aus privaten Alben hat der in der Schweiz lebende chilenische Künstler Enrique Muñoz García unter fotokünstlerischen Aspekten zusammengetragen und thematisch komponiert. Es ist seine erste Schau dieser Art, so dass sich der Künstler über die große Anzahl der geladenen Gäste sehr freute und ihnen für Fragen gern zur Verfügung stand. Nach der Begrüßung und kurzen Einführung in das Werk durch Museumsmitarbeiterin Susanne Wiersch wurden die Bilder vom Publikum genau unter die Lupe genommen. Dabei kamen eigene Erinnerungen mit dem Käfer auf, manch einer hat noch ähnliche Bilder zu Hause schlummern (über deren Weitergabe wir uns sehr freuen würden)." AutoMuseum Volkswagen, Wolfsburg, 30. Januar 2018.